Big news coming out of the Jacksonville area. 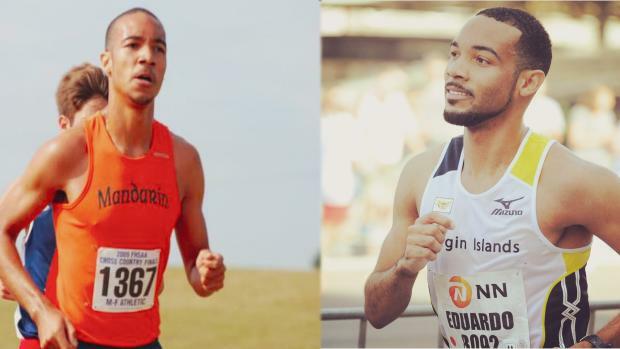 Mandarin HS and University of Florida alumnus, Eduardo "Eddie" Garcia, raced his way to the Olympic qualifying standard for the Virgin Islands in the marathon at the Houston Marathon on Sunday. Garcia, who trains out of Greenville SC with Asics Greenville Track Club Elite, ran a time of 2:18.50 for the 26.2 miles. The Mandarin alumnus was a multi-time state medalist in the 1600m, 3200m, and 5000m, and while he was close to a state championship win in high school, Garcia's 4:16.65, 9:26.80, and 15:16 high school PR's fell short of the coveted state title. That did not stop Garcia from pursuing something far greater. 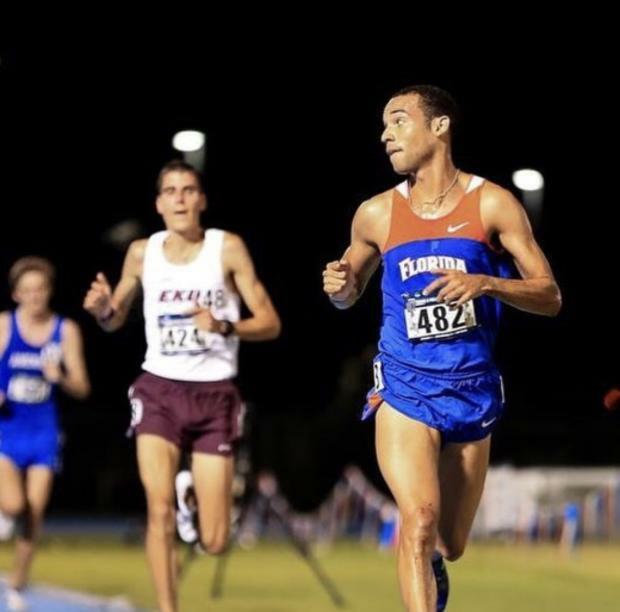 After graduating from Mandarin, Garcia went on to be a Florida Gator and join their top-notch distance program along big high school names like Mark Parrish, Jimmy Clark, and JL Hines to name a few. Year after year, Garcia trained hard and fought for greatness. In 2015, the Gator became the 10,000m SEC Outdoor Champion in a time of 29:48 and he followed that performance up with a 14:36.76 in the 5000m. After graduating UF, Garcia started his journey with Gainesville's own Florida Track Club, racing and winning local races as well as traveling internationally, representing the Virgin Islands. In April of 2018, Garcia signed a two-year training contract with Asics Greenville Track Club Elite in Greenville, SC. After a few months of training under his belt, Garcia ran away with a 25th place finish at the 2018 USATF 10k Championships and a new half-marathon PR of 1:05.37 in Richmond, VA and now, an Olympic qualifying performance. "Being able to represent the Virgin Islands on the international level is a huge honor for me. My father is from the island of St. Croix, so being able to put on the jersey where he was born is a really special feeling for me," Garcia said. Garcia will represent the U.S. Virgin Islands at the 2019 World Championships, Pan American Games in Lima, Peru and the 2020 Tokyo Olympics. Up next for the Florida native will be a few trips back home, including one to race the Gate River Run in March as well as to speak to the Florida Track Club at their March meeting on his journey to success. For Garcia, these accomplishments have been fostered dreams since his time at Mandarin, nearly eight years ago. "I would tell my younger self to have fun with the journey, embrace all of the friendships and experiences along the way," Garcia said. "Go back to the basics and let things come naturally."